Concepts x New Balance M997.5 "Esplanade". Continuing our 2017 collaborative partnership, Concepts and New Balance unveil the M997.5 "Esplanade". Inspired by the scenic leisure and activity area which spans along Boston's Charles River, the Esplanade's upper is made up of smooth grey synthetic leather, an eye-catching teal mesh toe panel, a lush premium pig suede tongue, set off with silver and white reflective hits. This limited collaboration also comes with 3 sets of laces and a special Concepts box with a hidden hint at another angle that inspired the shoe's design. 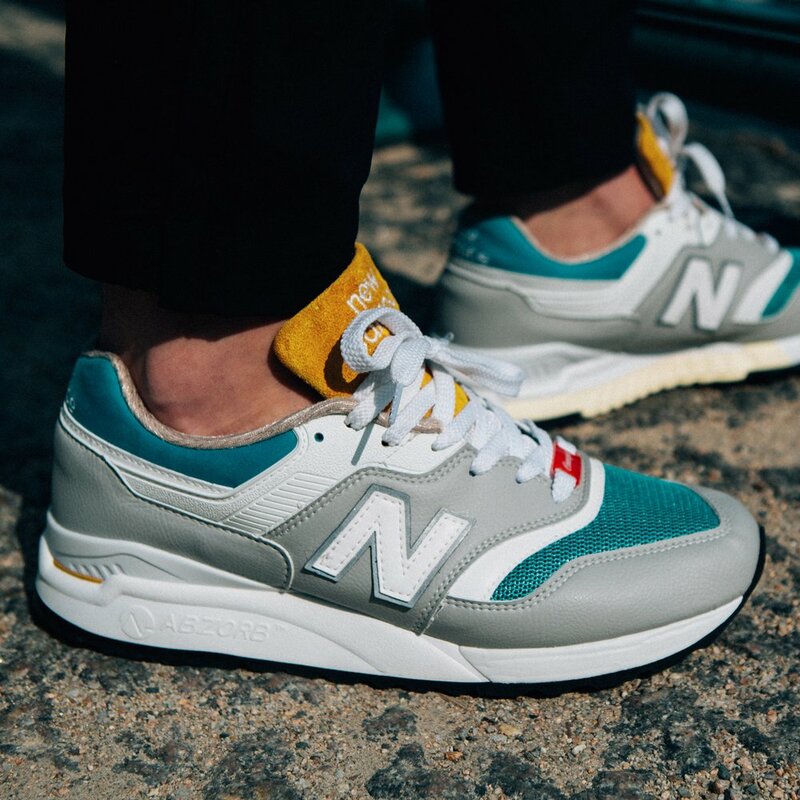 The Concepts X New Balance M997.5 "Esplanade" is releasing on September 8 at Cncpts.